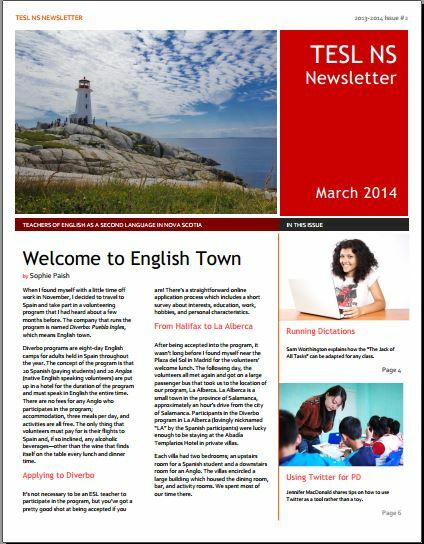 Click here to download the TESL NS March Newsletter. This issue features news and articles by Tiffany MacDonald, Amanda Marshall, Simon Moll, Sophie Paish, Nurudil Temel, and Sam Worthington. Comments, suggestions and contributions can be directed to editor@teslns.com.